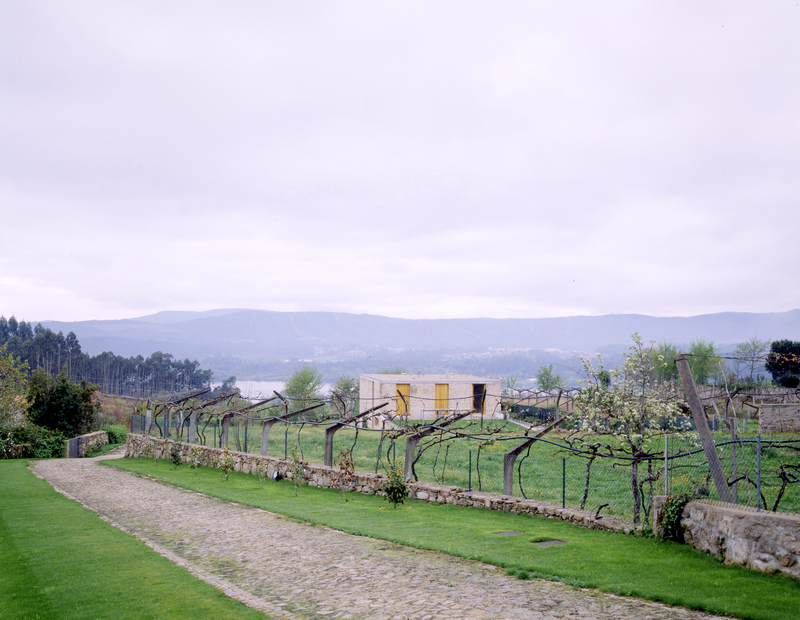 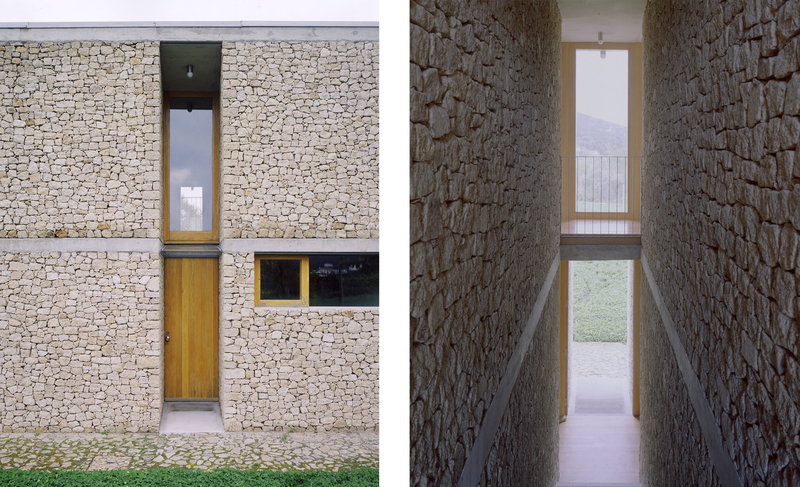 Facing the Minho River in northern Portugal, the site belongs to a fragmented landscape of stepping granite walls. 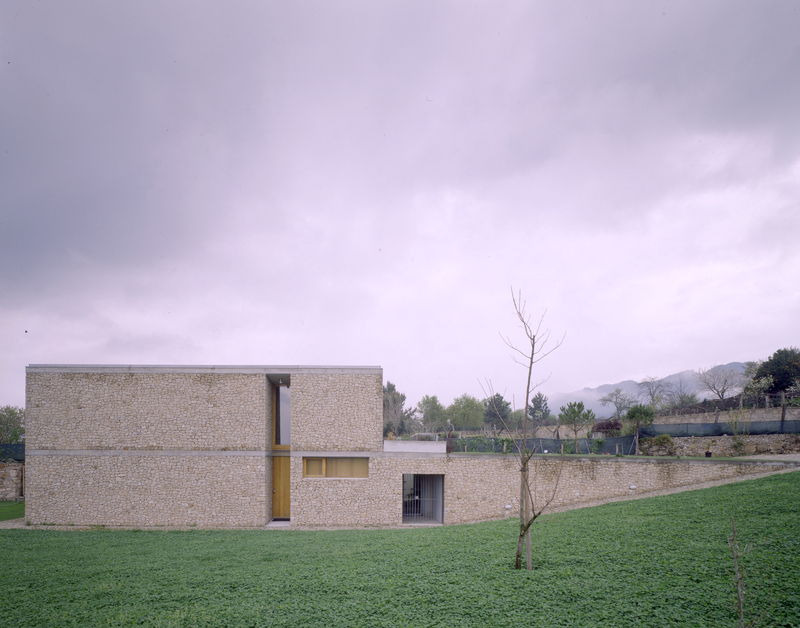 The house sits in the landscape as a compact stone facia volume. 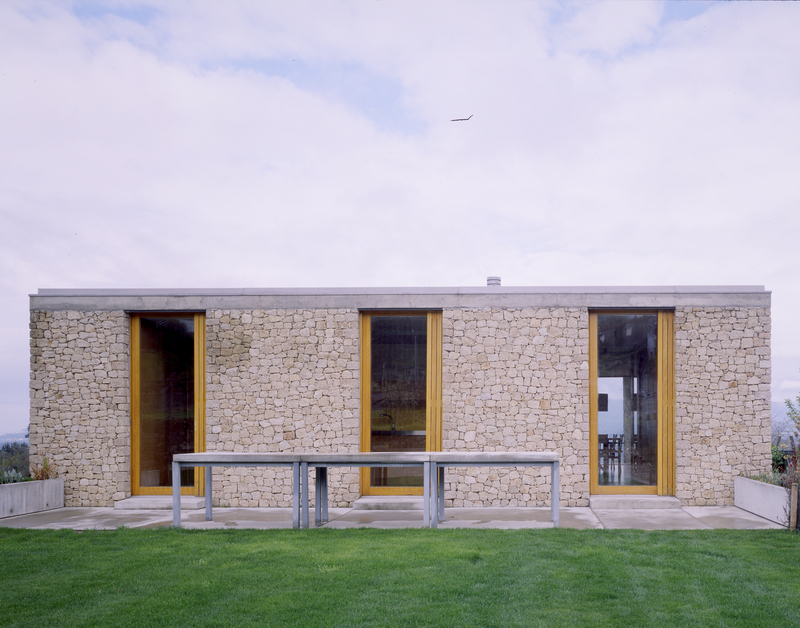 Visible reinforced structural concrete slabs clearly show the stone in fill as external skin to the building. 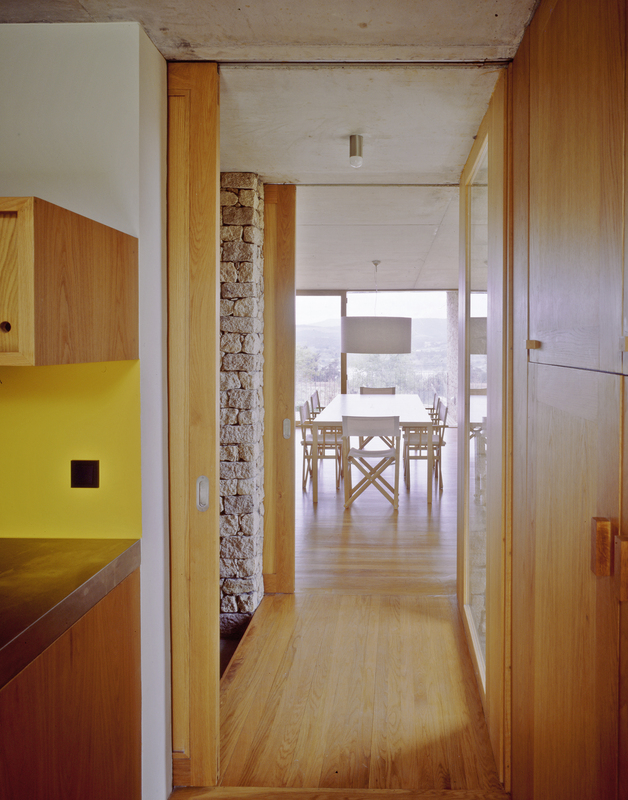 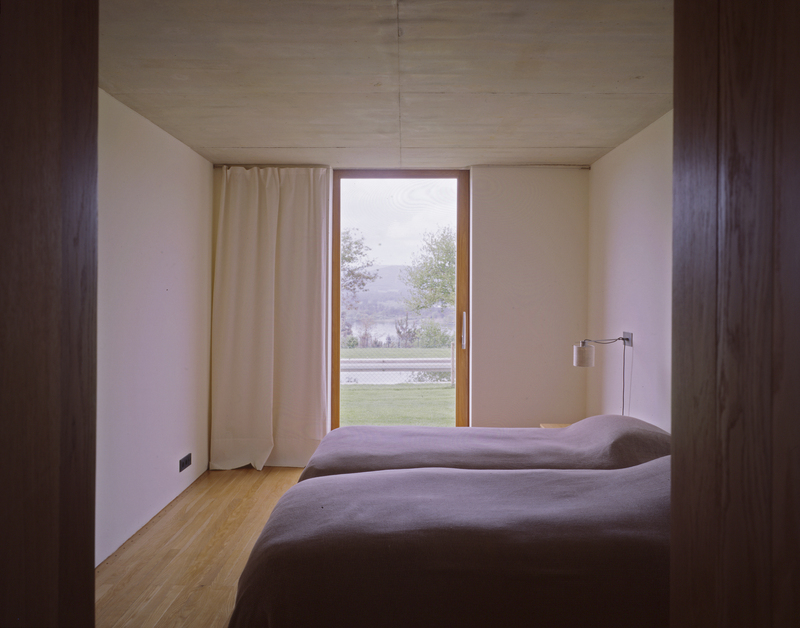 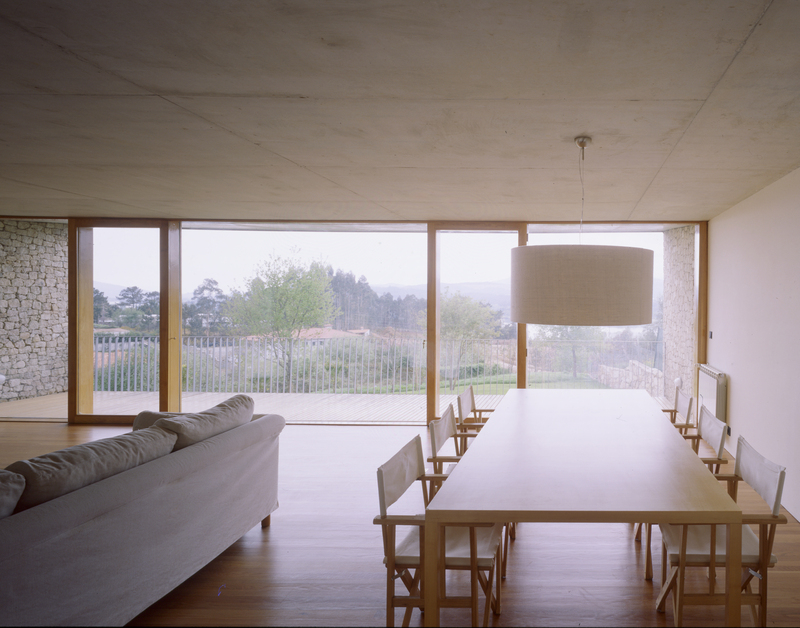 The house addresses geographical context in a two fold way: compact volume on the ground signalling the ground floor bedrooms on the west and first floor kitchen and small lobby-studio on the east, with the upper main living room to the west offering a broad opening view to the river and picturesque northern landscape. 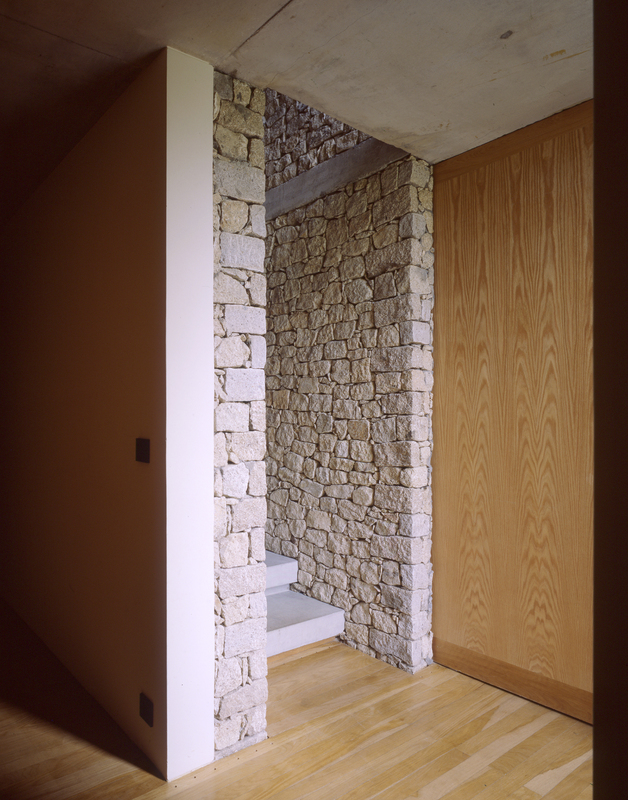 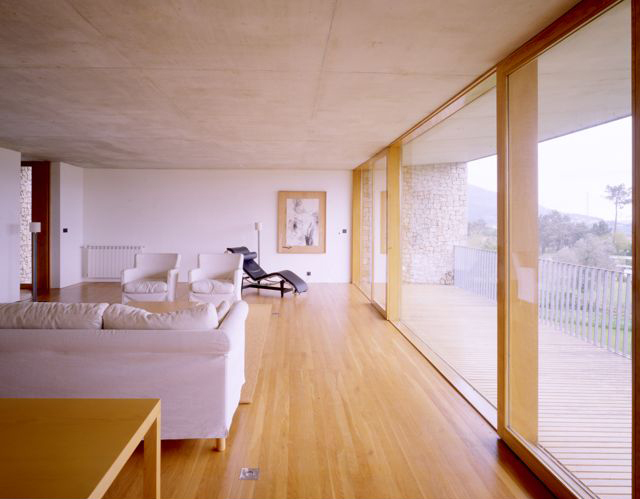 A ‘gap’ between east and west volumes contains the entrances and vertical accesses of the house. 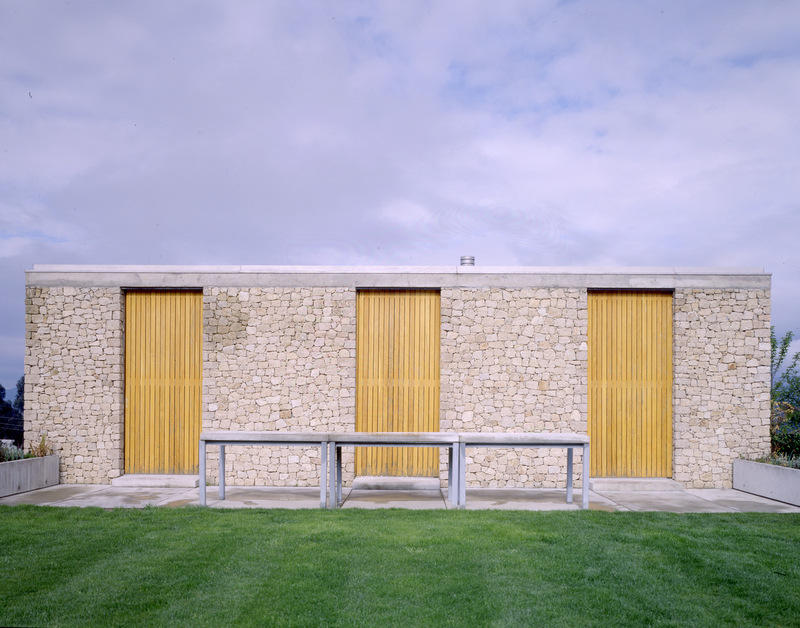 The site was slightly modelled in order to adjust to the new functions, trees and ‘the ways of the water’.